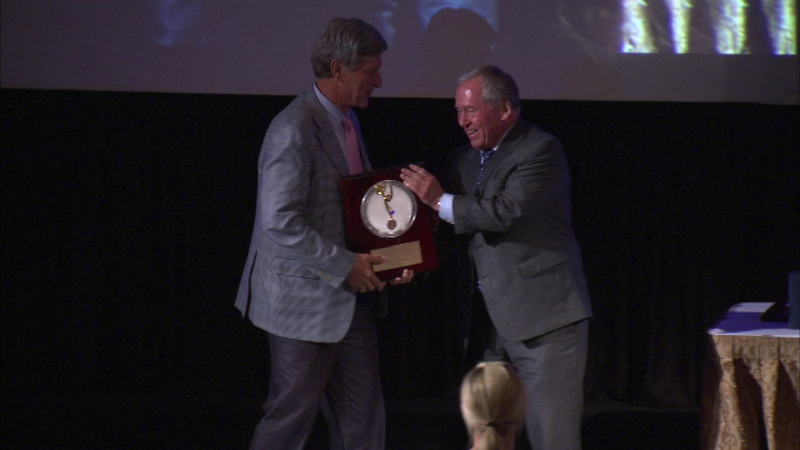 Paul Meincke was one of three ABC7 journalists honored with a Silver Circle Award on Friday night. CHICAGO (WLS) -- Ten broadcasters, including three dedicated journalists from ABC7, were honored Friday night with the Silver Circle Award. It's given by the Midwest Chapter of the National Academy of Television Arts and Sciences. The new inductees from ABC7 are reporter Paul Meincke, the late Fahey Flynn and the late photojournalist Mike Dukewich. The Silver Circle honors people who have been in television for more than 25 years and made major contributions to the industry.